Laura Miller's study of C.S. Lewis falls short of providing a coherent theory of Narnia's magic. Born in 1898 to a Belfast solicitor and his mathematics-trained wife, C.S. Lewis, or Jack, as he preferred to be called, was deemed by his tutor for the Oxford entrance exams to have been “born with the literary temperament,” and “while admirably adapted for excellence and probably for distinction in literary matters, he is adapted for nothing else.” It was true. An admirer of Beatrix Potter, young Jack wrote talking-animal novels and came to have hopes of success as a poet. One thing got in the way: he was not a poet. And not, by the way, in the manner in which Ford Madox Ford wasn’t a poet–Ford in his poems lived up to his standard that poetry should be at least as well written as prose. Lewis talked down to himself in his poems; this is the fatal flaw in much of what we know as bad poetry. Lewis’s life, too, was topsy-turvy. Within two weeks of the death of his mother, 9-year-old Jack was sent by his father to a boarding school in England run by a sadist who would be forced out of his job in disgrace. The next school Jack attended was not much better. He read and endured. In 1917 he won a scholarship and was elected to University College at Oxford, but before he was settled into his rooms he went to the war. Lewis and his roommate Paddy Moore entered into a pact, in the event that either one made the ultimate sacrifice, to look after the other’s family. Janie “Minto” Moore survived her son, and she and her young daughter came to live with Lewis at Oxford. She stayed for more than thirty years. (The truly odd thing about this arrangement is that Mr. Moore was alive.) Lewis referred to her, when he did at all, as his foster mother, but there is little doubt among his biographers that their relationship was, early on at least, more romantic than filial. A confirmed atheist since the death of his mother, Lewis insisted that Moore’s daughter spend Sunday mornings in church, leaving them at home alone. After the death of Lewis’s father ten years later, Lewis’s alcoholic older brother, Warnie, moved in as well. Warnie observed that Moore, who once referred to C.S. Lewis as an extra maid, never let him work more than half an hour without interrupting his reading and writing with errands. Despite the interruptions, Lewis published twenty books during his thirty years with Moore–lectures, essays, radio talks, science fiction and fantasy novels, apologetics and works of literary history, ranging in quality from pedantic to inspired, mere opinion to glorious pastiche. (It was during these years that Lewis rediscovered his faith, eventually coming to prominence in the United States as a popular theologian, gracing the cover of Time for his success with Mere Christianity and The Screwtape Letters.) The last book of Lewis’s to go to press in Moore’s lifetime was the first in the Chronicles of Narnia series, The Lion, the Witch and the Wardrobe, published in 1950. Next moment she found that what was rubbing against her face and hands was no longer soft fur but something hard and rough and even prickly. “Why, it is just like branches of trees!” exclaimed Lucy. And then she saw that there was a light ahead of her; not a few inches away where the back of the wardrobe ought to have been, but a long way off. Something cold and soft was falling on her. A moment later she found that she was standing in the middle of a wood at night-time with snow under her feet and snowflakes falling through the air. In his criticism and the Narnia books, Lewis puts a premium on lush physical description, going beyond sight and sound to emphasize smell, taste and touch whenever possible. And he has the knack for what Soviet critic Viktor Shklovsky called ostranenie, or “enstrangement”–presenting familiar objects, scenes, feelings or even religious beliefs in an unfamiliar light so that the reader can experience them as if for the first time. These are indispensable qualities of Lewis’s best work, but they do not in themselves explain the fervor with which young readers form lifelong attachments to his stories. In The Magician’s Book, Laura Miller has written an account of returning as an adult to the Narnia books, trying to understand what in them stunned her 9-year-old self into a life of wanting nothing more than to read. It is a strange, often dispiriting book, announcing itself as both memoir and literary criticism; in fact, Miller submerges her own story and never quite focuses completely on the work at hand or, for that matter, on what in Lewis’s reading helped lead him to create an imaginary place she once longed to visit. Miller’s declared goal is to illuminate the Narnia books’ “other, unsung dimensions, especially the deep roots of the Chronicles in the universal experiences of childhood and in English literature.” What Miller ends up doing is revisiting for a while the pleasure of identifying wholeheartedly with a character in a story. This immersion, incidentally, was a particular interest of Lewis’s. His remarkable book-length essay An Experiment in Criticism is an attempt to suspend labeling books as good or bad. Instead, looking closely at what people do when they read, he works from the premise that discussion of books takes place only among that small, odd group of readers who take pure pleasure in reading and rereading books not for self-improvement or snob appeal but because going even a few days without reading makes them ill. The many, he writes, read books to gratify personal wishes, finding what they look for, as opposed to hearing what the books have to say, experiencing what they mean to do to the reader. Unfamiliar description is, for this kind of reader, an impediment, “like trying to sell him something he has no use for at a price he does not wish to pay.” And the necessary conditions of good writing–excitement, mystery and what comes of seeking happiness–are mistaken for sufficient. Lewis diagnoses the habit of reading to identify with characters as “castle-building,” the egoistic fantasizing dramatized in the (soon to be remade) Danny Kaye comedy The Secret Life of Walter Mitty. It is, he acknowledges, a pleasurable way to read, and it isn’t fatal. He cites Anthony Trollope as an example of someone who began as a castle-builder and who went on to imagine worlds not entirely populated by himself. But for a critic, it is not the ideal mode when looking for what makes a book. There is, after all, something besides the reader to find. Miller is aware of this, signs on and proceeds to erect Mont Saint-Michel. To me, Lucy Pevensie was both an alter ego and a clear glass. Through her I could see the action of the first three Chronicles undistorted; her response to everything felt as fresh and natural as a breeze, because it was so close to my own…. Even today I find it hard to secure any perspective on her. “Lucy goes straight to your heart,” Neil Gaiman observes, and once she is ensconced there, it’s impossible to step far enough away from her to take her in. Gaiman, a heavyweight fantasy novelist, is one of the big names Miller invokes throughout the book–Jonathan Franzen and Susanna Clarke are two others. Having cast herself as Lucy, perhaps Miller needed to fill the roles of Peter, Edmund and Susan. In Miller’s defense, she keeps her eyes on Lewis’s enduring appeal. She retraces her steps, interviewing the schoolteacher who gave her the first Narnia book in second grade, recalling her reading of other children’s classics, from Little Women to Mary Poppins to the Little House books to Island of the Blue Dolphins. She observes the poetic naming activity of a friend’s twin toddlers, and their animalistic, affectionate reactions to the world and the objects, animals and people in it. She visits Lewis’s Oxford home and surveys English and Irish landscapes for some sign of the day residue that led Lewis to dream up the other world she still half wants to find. When it comes to understanding the books as the outgrowth of a particular place and time, Miller is adequate. Her general sense of Lewis as a bluff, bookish, somewhat sadomasochistic character follows the lead of A.N. Wilson’s excellent biography. Her Lewis squares more with the composite picture that emerges from Lewis’s oeuvre than does, say, the quiet bachelor Lewis of the radio-play-turned-movie Shadowlands. Miller’s prose, though, is as general as her sense: she misses the details that make the story. For example, she reports that Lewis fell behind socially partly because of an awkwardness at sports, but she neglects to mention that Lewis lacked middle thumb joints. One of Lewis’s main critical points in The Discarded Image and English Literature in the Sixteenth Century is that the so-called Renaissance in English letters was not a return to classical models but a rejection of the considerable systematic achievement of the medieval thinkers. 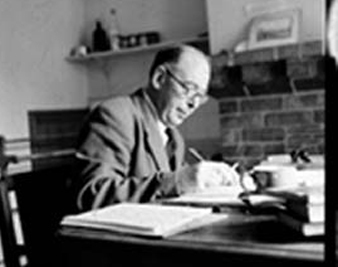 Where others saw the new emphasis on the originality of individual authors as a shift of Copernican proportions, Lewis saw it as a tragedy of the Commons, a privatizing of the shared inheritance. Miller gets it half right, praising Lewis’s spirited syncretism, while mislabeling it “medievalist.” It’s true that Lewis and his Oxford colleague J.R.R. Tolkien are mutually responsible for the armor-and-cleavage circuit of Renaissance Faires and Medieval Festivals, but Lewis never dreamed of returning to feudalism and poor sanitation. He did see a major shift, though; in his inaugural address at Cambridge he sees the great divide coming sometime between Jane Austen and ourselves. After going around the world looking for an imaginary place, Miller does finally begin to treat the Narnia books as learned syntheses of Lewis’s reading, while preserving her sense that there is more to them than that. Inapt comparisons of Lewis and Tolkien to Wordsworth and Coleridge aside, she touches at last on the books as books, having mentioned many of the likely strands that went into their making. She identifies the mouse-warrior Reepicheep and the Marsh-wiggle Puddleglum as two of Lewis’s best creations. She discourses briefly on the work of Lewis’s friend, the independent scholar Owen Barfield. She gestures toward the critical abyss of myth but stays clear of its enchantments. She even finds herself examining Lewis’s habits of reading in much the way he outlines in An Experiment in Criticism. In the end, though, she remains at a loss to say how Lewis bound those strands. “Today, I wonder how Lewis managed to make all this feel as if it belongs together, in the same book. As a child I took it for granted, though if asked I might have said that The Magician’s Nephew was as rich as plumcake.” It is noble and appropriate for a critic to acknowledge a gap in understanding, but this is a canyon. Miller judges the various books–she prefers the episodic (and to my mind, static) quest narrative Voyage of the Dawn Treader to the freed-slave-royal-twin story The Horse and His Boy–but she does not provide a coherent theory of their magic. I’ll take a crack at it. What holds the story together is Lewis, or rather, the benevolent, attentive, encouraging narrator and his occasional presence in the story disguised as a professor, a dwarf, a badger, a lion. His is a sane and playful presence, not tame and never thoughtless. Though great danger is always imminent in Narnia, there is a profound sense of excitement, of mystery, of being loved. This sense is difficult to accomplish but also impossible to counterfeit. Lewis manages it partly through frequent second-person digressions keyed to the experience of any bright but otherwise ordinary 9-year-old, the age at which he lost his mother. Most of all, he forms a bond with young readers by pledging again and again to believe them by proxy: in The Lion, the Witch and the Wardrobe, Lucy persists in believing that she has gone to another world, and despite the betrayal of her brother Edmund, the other children go there with her. (To my knowledge, no one has followed up on the aside that Edmund’s perverse, hateful behavior began when he was sent away to boarding school.) What continues to draw children to Lewis is not only the pleasure of traveling to a world that sounds better than this one but the promise of his company, so entertaining and learned, and so light about it. Miller has written about Lewis before, mainly for Salon, where she is a senior writer. She reports that her first Lewis piece for Salon, a 1996 note on rereading The Lion, the Witch and the Wardrobe, prompted a greater volume of response than anything else she’d written. Also that year, film critic David Denby published Great Books, the story of his midlife return to Columbia College to see what had become of the books and classrooms that shaped him. There is a touch of pathos, a busman’s holiday quality, to his and Miller’s projects. The Magician’s Book may well reach the many who saw themselves in that piece. Perhaps this skeptic’s adventures will also send readers back to Narnia and to the rest of Lewis’s work, or better still, to the work Lewis loved. If An Experiment in Criticism is any guide, though, Lewis would have doubted it.